For those still struggling for Valentines Day gift ideas. 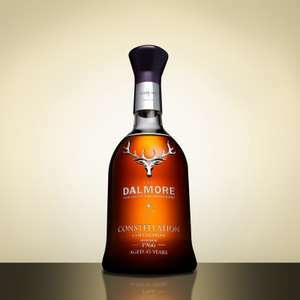 Unfortunately, some of the more expensive cask bottles have already sold out. 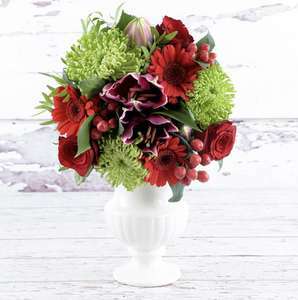 50% off the L'Amour bouquet from Appleyard flowers. Excludes delivery. Enter the code at the checkout to receive the discount. DANIEL WELLINGTON additional 15% off all stock including valentines promotion. 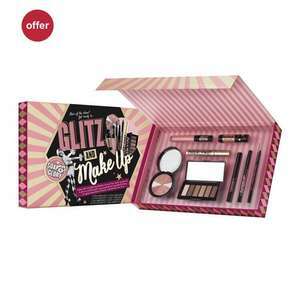 Urban Decay have a 20% sale on some of their favourite products. Free delivery as well. These would make great Valentines day gifts or birthday gifts. Use Coupon Code V1414 while checking out for an additional discount of 10%. Code works with watches on the web link. If you are in a relationship, you’ll know all about Valentine’s Day, but do you know how to celebrate the occasion as cost effectively as possible? 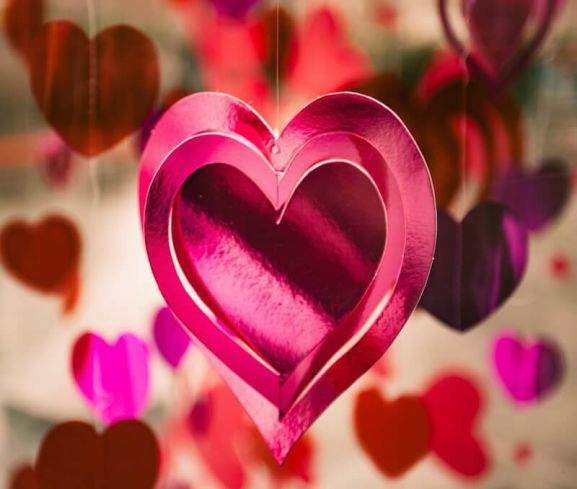 Falling on 14th February every year, this year’s event promises to be a nationwide celebration of love and romance. It’s also the day of the year that perfumiers, chocolate makers, jewellers, gift card companies and restaurants all look forward to, as millions of lovers try to communicate their feelings with gifts and unique experiences. It’s important to buy a gift that gets your message across, but don’t fall into the trap of spending more than you need this Valentine’s Day. By checking the hotukdals Valentine’s Day pages as the event approaches, you can find discounts on the nation’s favourite romantic gifts for her and for him. That way, you can make huge savings, without risking a Valentine’s Day disaster. A huge array of famous UK retailers make Valentine’s Day one of their annual priorities. For example, jewellers like Pandora, H Samuel, Swarovski and Tiffany will almost certainly be reducing the price of their products. The same goes for perfume retailers like Boots and John Lewis, and men’s accessories sellers like All Saints or Next. Even supermarkets like Asda, Tesco an Sainsbury’s capitalise on the rush of gift-buying when Valentine’s Day nears. 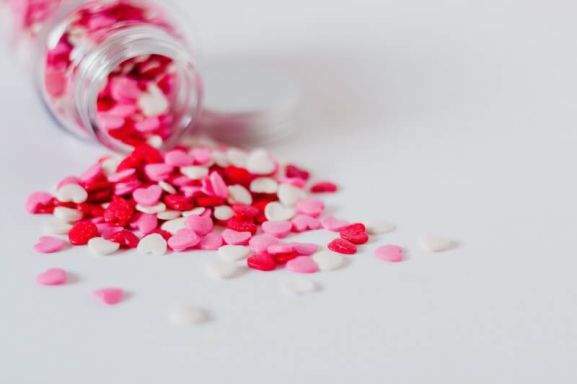 While it’s a massive event in the retail calendar, Valentine’s Day is just as crucial for businesses that specialise in experiences. You’ll find savings on luxury spa breaks, flights for two to beach destinations, balloon rides, cookery classes, craft workshops and, more than anything else, gourmet dining venues. There are few experiences more romantic than an intimate dinner at a high-class restaurant, and the Valentine’s Day deals at hotukdeals could put elite eateries within reach of you and your partner. Specific retailers have their own unique ways of celebrating Valentine’s Day, a sign of how vital it is to their annual bottom line. H Samuel offer special romantic gift boxes, keepsakes like charm bracelets and necklaces and the opportunity to personalise your gift with your lover’s name. They also have some handy advice for guys on the big day, such as steering clear of rings unless you are intending to pop the question. Asda showcase all of their most romantic products on a special Valentine’s Day microsite, where gift givers can choose between champagne, lingerie, dazzling bouquets of flowers, ingredients for a romantic dinner at home and decadent chocolates. It’s a great one-stop shop to suit all tastes and could be a life-saver if you’ve left your gift till the last minute. John Lewis is one of the UK’s most popular department stores, and they have embraced the Valentine’s Day theme as well. Under the slogan “the Look of Love”, they have curated a range of handbags, cosmetics, men’s gadgets, home ornaments, fragrances, jewellery and much more that should contain a present for everyone. Debenhams have a romantic side too, sensibly dividing their range into “gifts for her” and “gifts for him”. Their editor’s picks are a highlight, offering some expert advice for guys who aren’t sure about how to buy lingerie and introducing them to brands like Frost French and Janet Reger. If you can’t bring yourself to purchase ladies’ underwear in-store, the Debenhams online Valentine’s Day section is the place to go. Even online marketplace Amazon has got in on the act. They might not be known for the sentimentality, but Amazon’s Valentine’s Day section is one of the best-stocked on the entire web. You’ll find everything you need, from flowers and men’s designer watches to chocolates and schmaltzy romantic movies. Amazon is also a superb place to find quirky greetings cards that you won’t find anywhere else, so if you want to really personalise your gift, it’s a good site to visit. Wherever you look on the UK’s retail scene, Valentine’s Day is big business. For everyday gift givers, this can only mean one thing: major savings and great deals as the event approaches. However, this doesn’t help those who can’t decide what deals they are interested in. This handy guide to the gifts on offer should provide some valuable pointers. Flowers – For hundreds of years, romantic couples have been “saying it with flowers”, but don’t settle for a tiny bouquet from your local supermarket. hotukdeals merchant Debenhams offers next day flower delivery and has a special Valentine’s Day collection. Go for a gorgeous 100 rose bouquet or mix romantic roses with lilies, freesias, berries and tulips. You can even have them delivered in a Valentine’s gift bag, the kind of little touch that makes all the difference. Jewellery – We all know that diamonds are a girl’s best friend, but there’s much more than just diamonds at jewellers like Pandora, Tiffanys, Swarovski or H Samuel. The H Samuel Valentine’s Shop is a good place to start, featuring pendants, amethyst jewels, romantic figurines and elegant watches. Pandora’s own Valentine’s Collection is a other great place to look, particularly thanks to its range of personalised charms and bracelets. Chocolates – Chocolates always go down well on Valentine’s Day, when post-Christmas diets are fading from memories and a dazzling array of confectionary is on display. Retailers like Hotel Chocolat come up with heart-shaped sweets every year and you can also shop online at Swiss chocolatier Lindt, whose heart tins could be just what is required. Holiday – These days, more and more people are choosing experiences that both partners can enjoy, and there is a huge selection to choose from it that’s the route you want to go down. hotukdeals merchants like Virgin offer memorable experiences like stadium tours of major football teams, river tours and trips to horse racing courses. Holiday Pirates is another good site to visit, they offer holiday trips around the world at very good prices as well as exceptional experiences like balloon rides, spa breaks or powerboating. Perfume – Perfume has always been one route to a woman’s heart, and men have recently got into the act too, demanding ever more sophisticated aftershaves. Thankfully, some of the UK’s biggest fragrance retailers have Valentine’s Day stores that can make the perfect recommendations. For starters, the Fragrance Shop has plenty of brands and half price offers. Boots have lots of deals as well, and John Lewis is another excellent place to look. 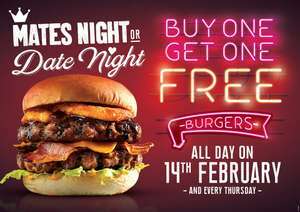 Meals for Two – Dining out at a gourmet restaurant with your every need catered for is a classic Valentine’s Day experience, and you can save money at some of the UK’s best restaurants at hotukdeals. You’ll find Lake District getaways from merchants like TravelZoo, Italian escapes for foodies from Expedia and plenty of dining in deals that will cut the cost of Valentine’s Day 2017. Personalised gifts – A final idea: why not give your partner a personalised gift from you to them? You could head to Photobox to create collages of your special snaps, create personalised cards at Moonpig or personalise a necklace or bracelet at H Samuel. Any of them would be charming, unique gifts that say “I love you” in a really powerful way. As you can see, there’s plenty of choice on offer for every romantic shopper. With the discounts available at hotukdeals, upscale fragrances, beautiful jewellery and memorable restaurant experiences could be within your financial reach as well. So pick the perfect gift, check out relevant merchants and take advantage of any Valentine’s Day deals as they become available.